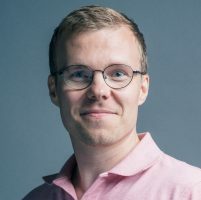 Kristian Kurki has been working at Supercell since 2013, tasked with a range of gigs: Player Support projects, hiring development staff, charity initiatives and the odd piece of creative input. Having played games since 1987, Kristian, formerly a fledgling academic, couldn’t have joined the industry any sooner. You’d think he goes on about how games “used to be better”, but on the contrary – he reckons the many genres, platforms and budget tiers make video games more exciting than ever. Kristian gets too easily hooked on adventure romps, strategy games and action RPGs (keep all copies of Mass Effect away from him).